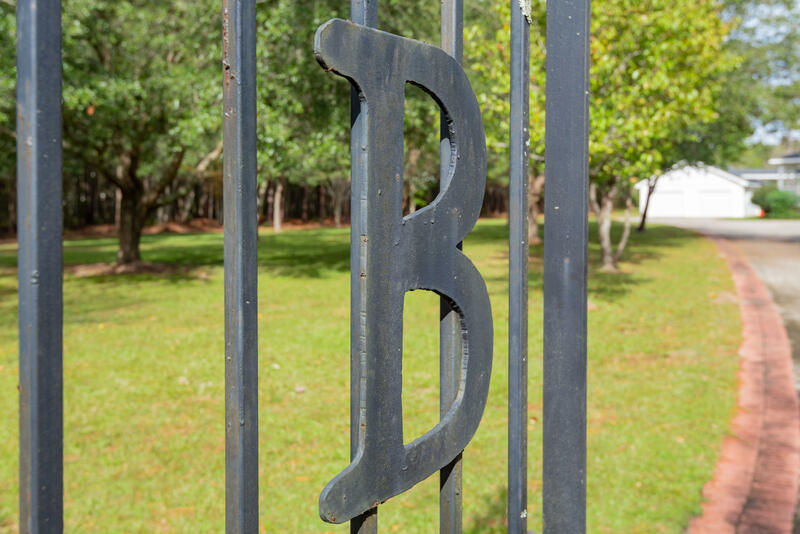 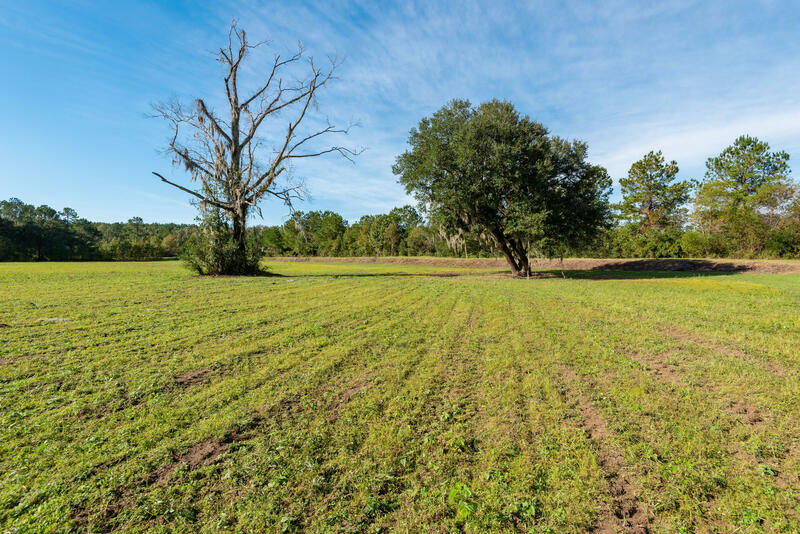 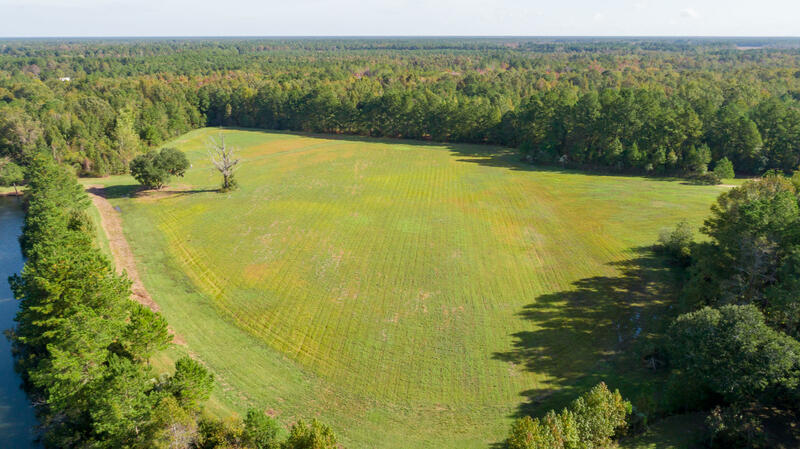 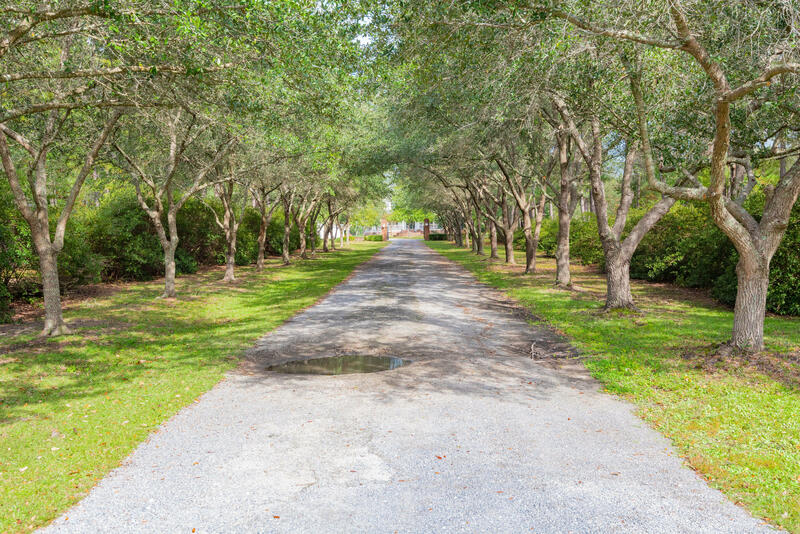 78+- Acres of potential, Barleau Plantation is an outdoorsman's paradise. 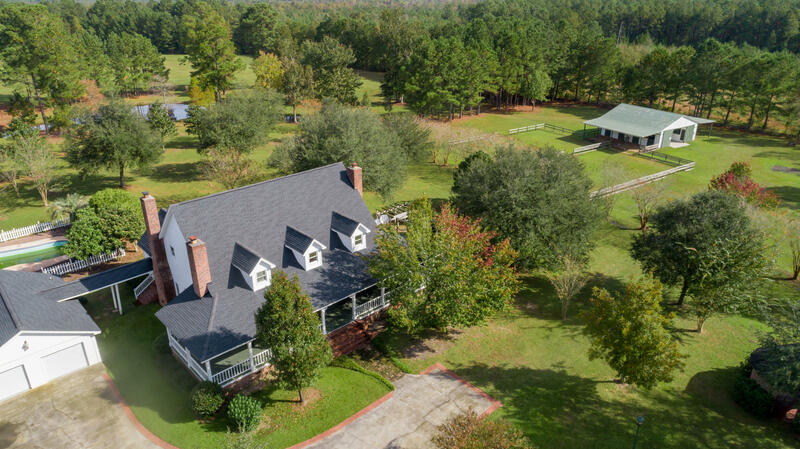 Whether you plan to ride horses, harvest crop, duck/deer/turkey- hunt, fish, swim or relax; this private estate will keep you more than happy. 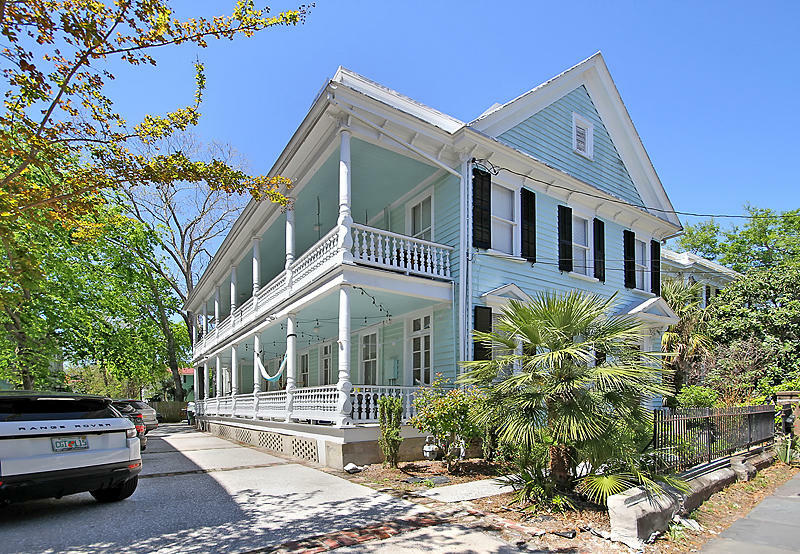 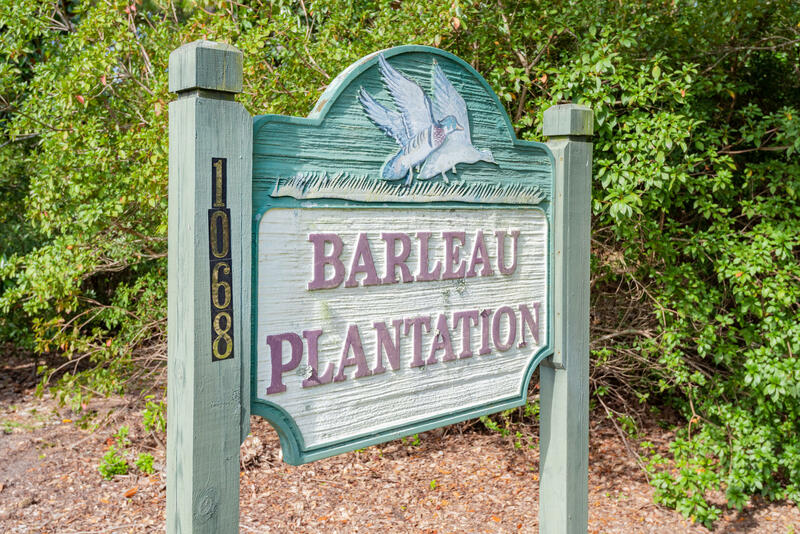 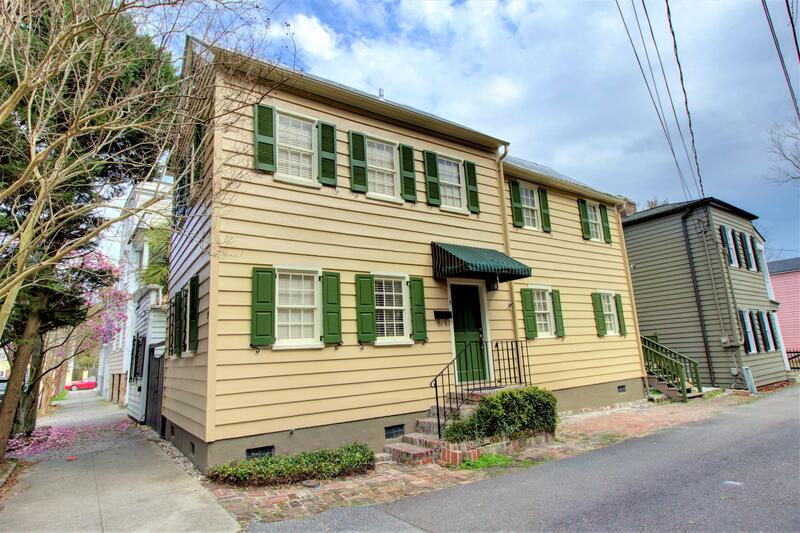 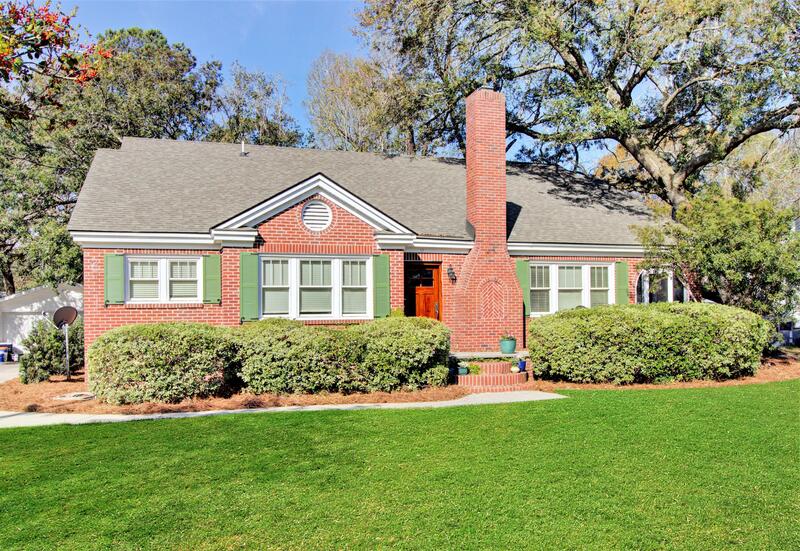 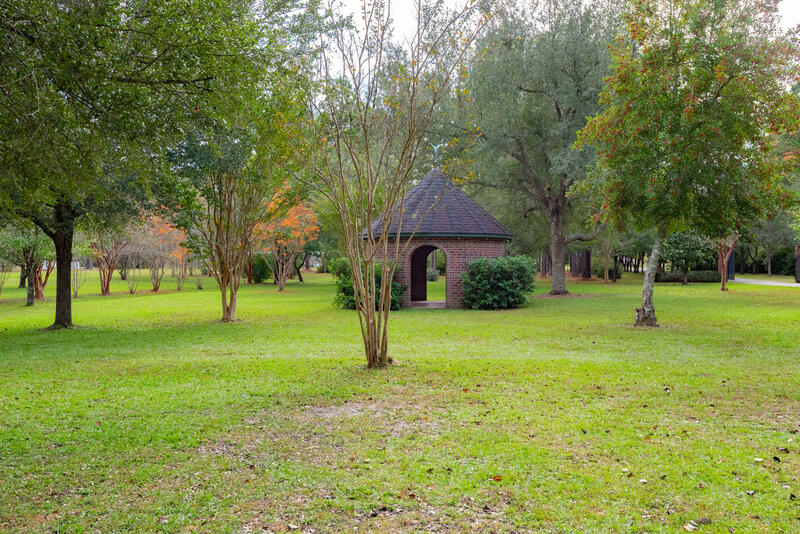 **LOCATION** Barleau is 38 miles north from downtown Charleston. 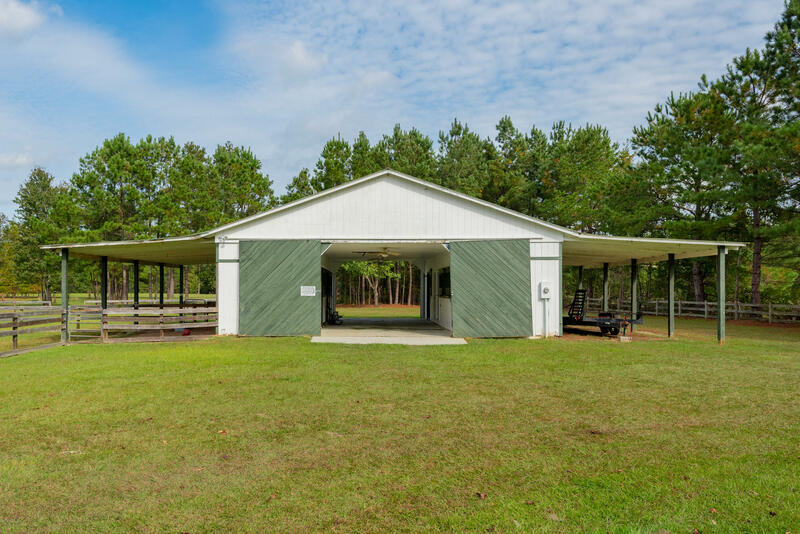 An easy drive right through the gorgeous Francis Marion National Forest. 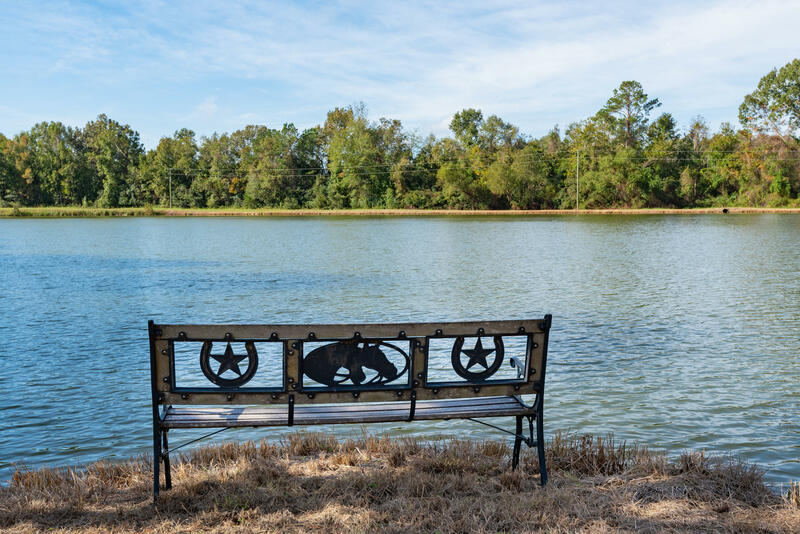 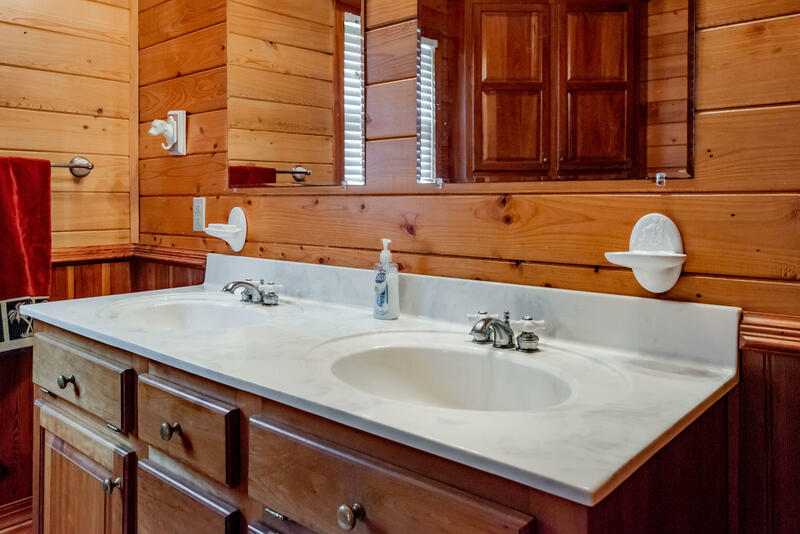 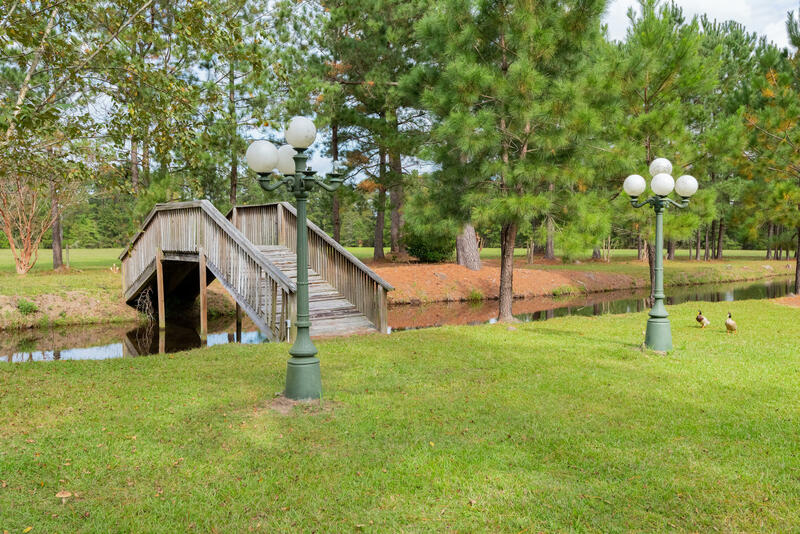 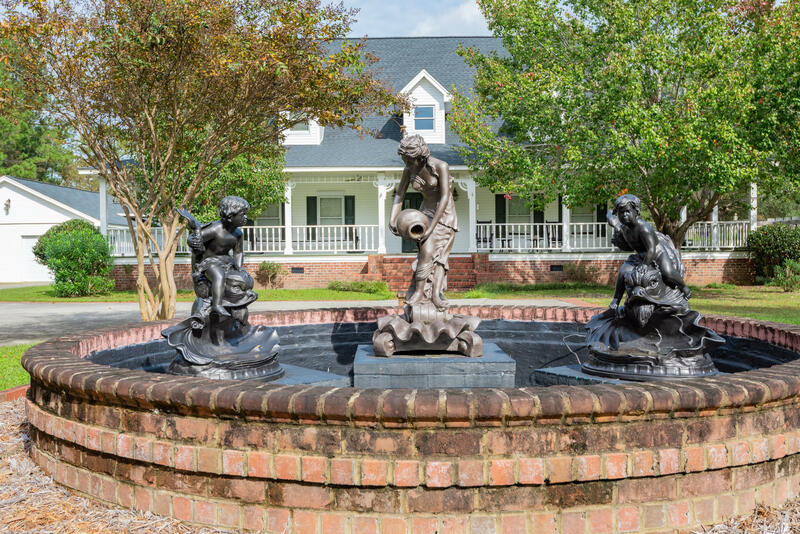 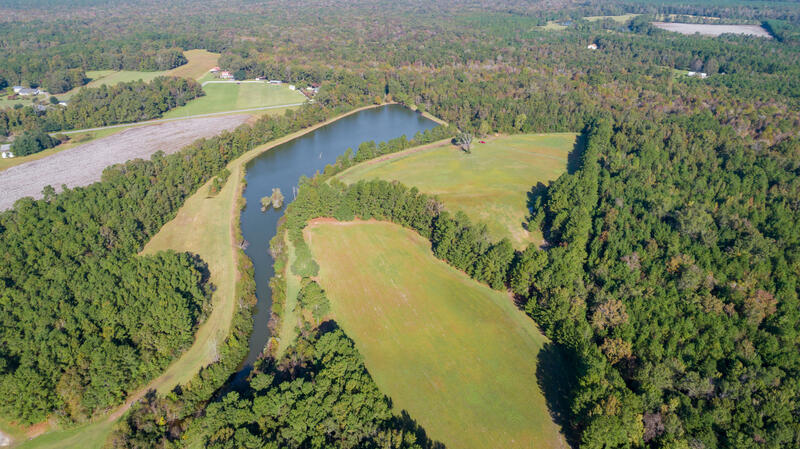 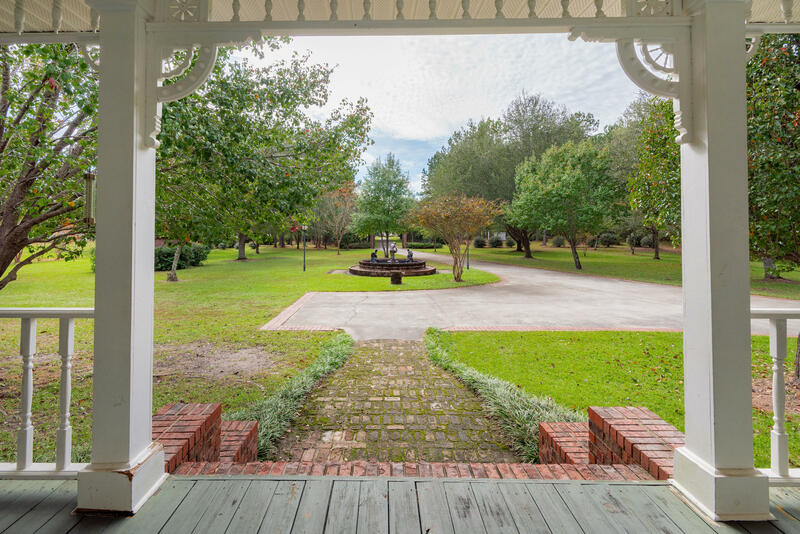 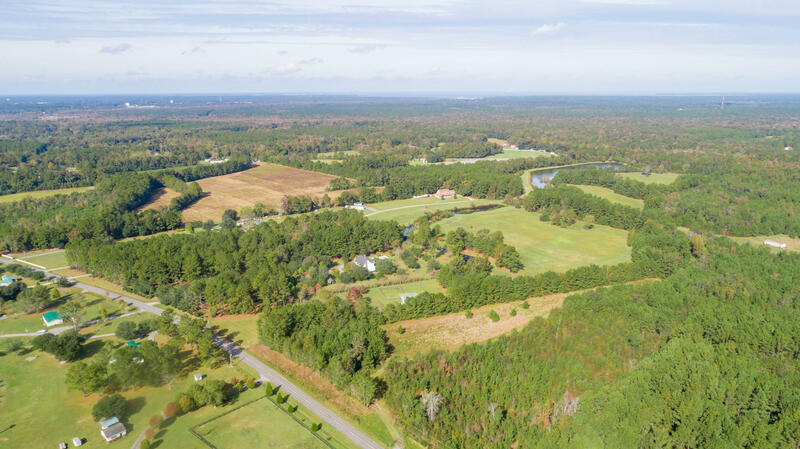 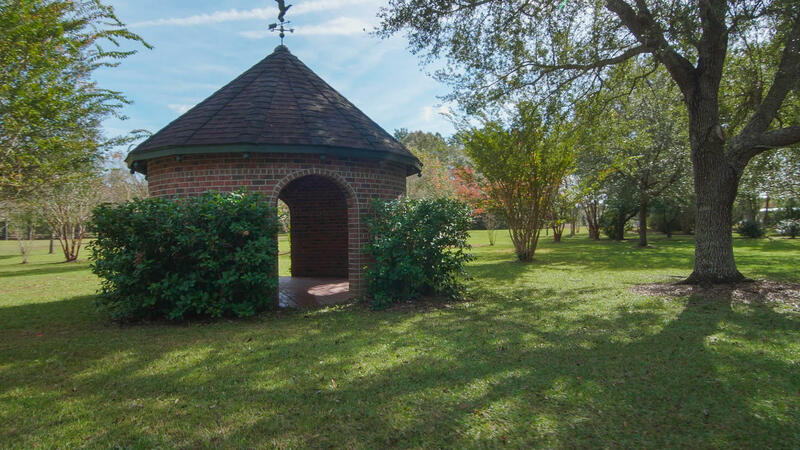 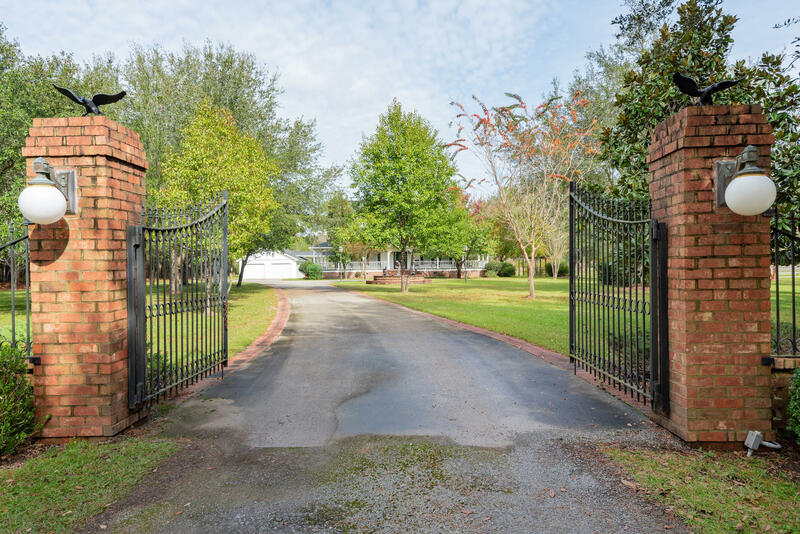 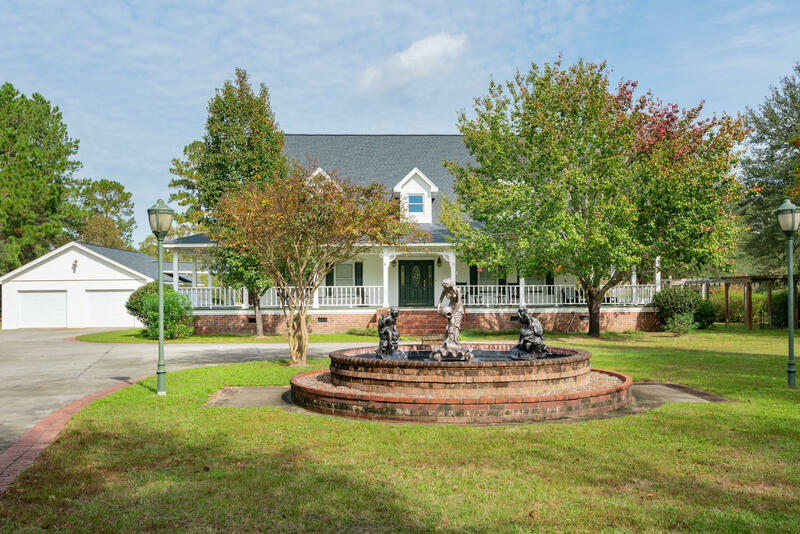 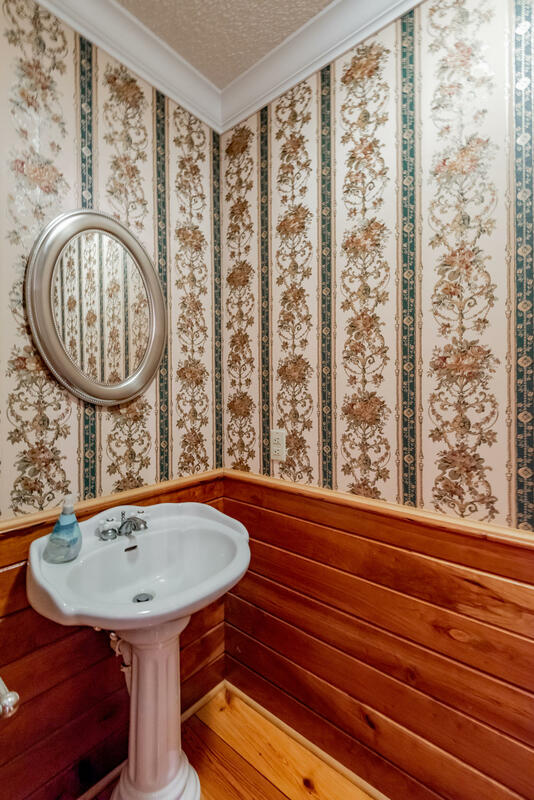 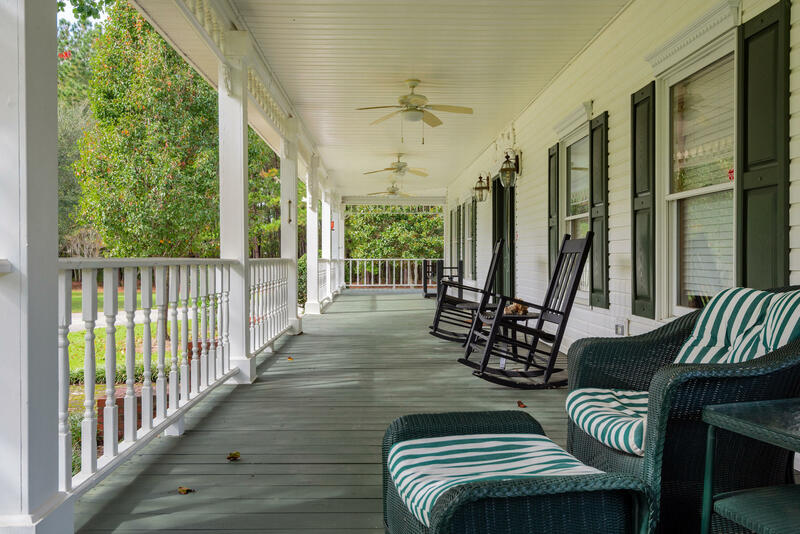 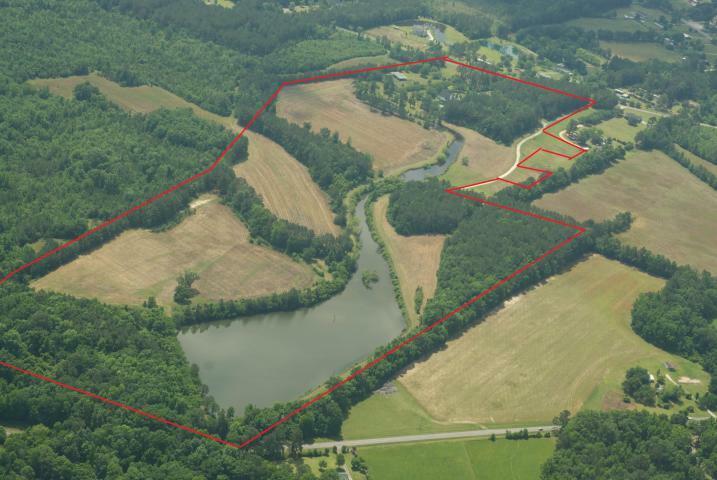 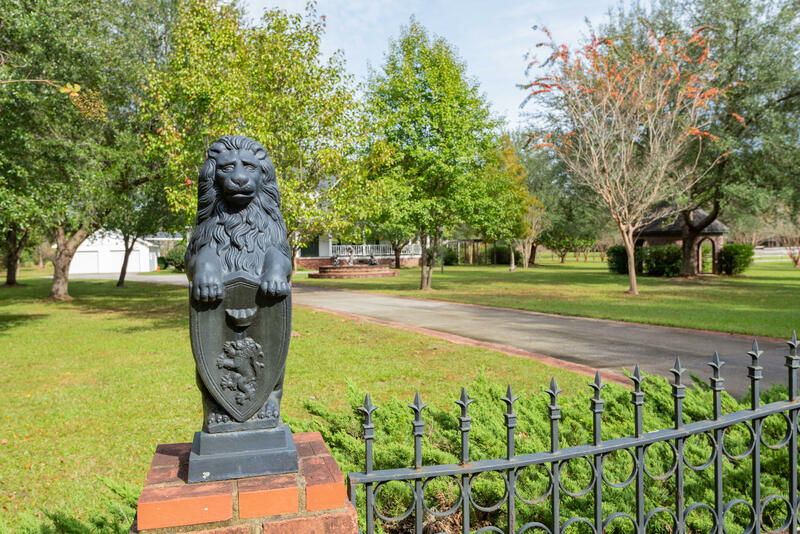 **AMENITIES** Favorites of the estate features include a 10 +/-acre Spring Fed pond, that is about 30 feet deep and full of bass and brim. 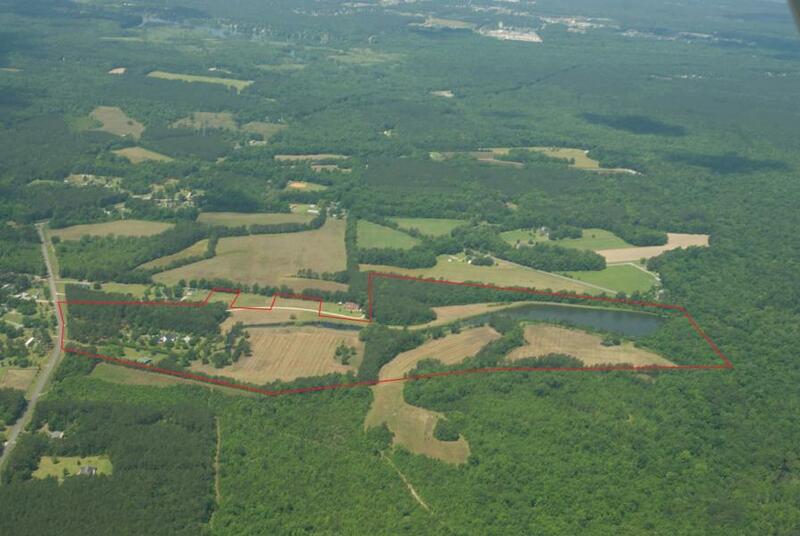 And a 10+/- acre field with impoundment systems in place. 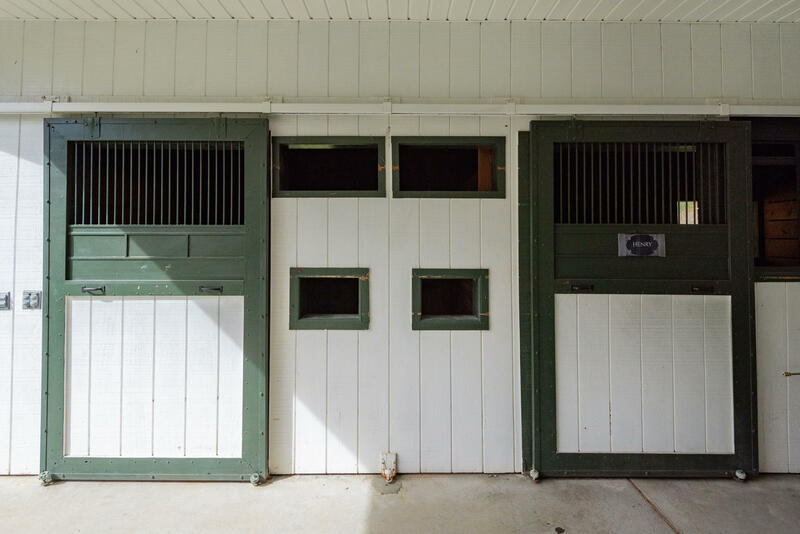 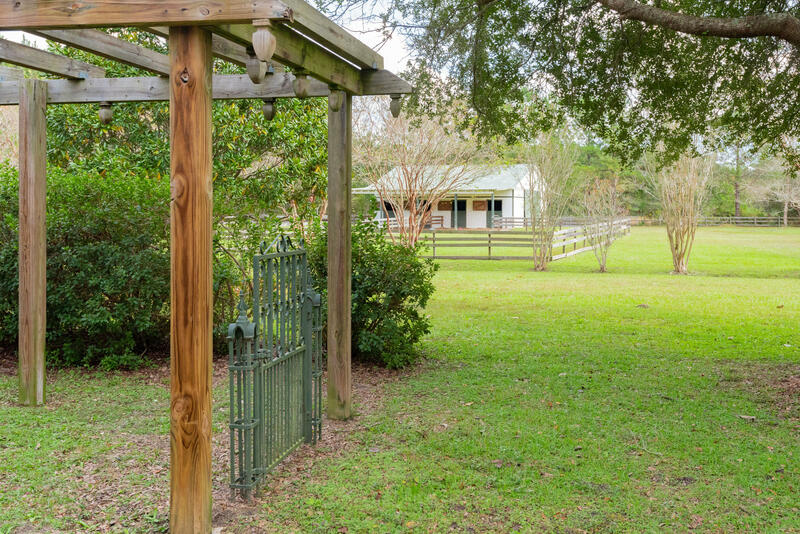 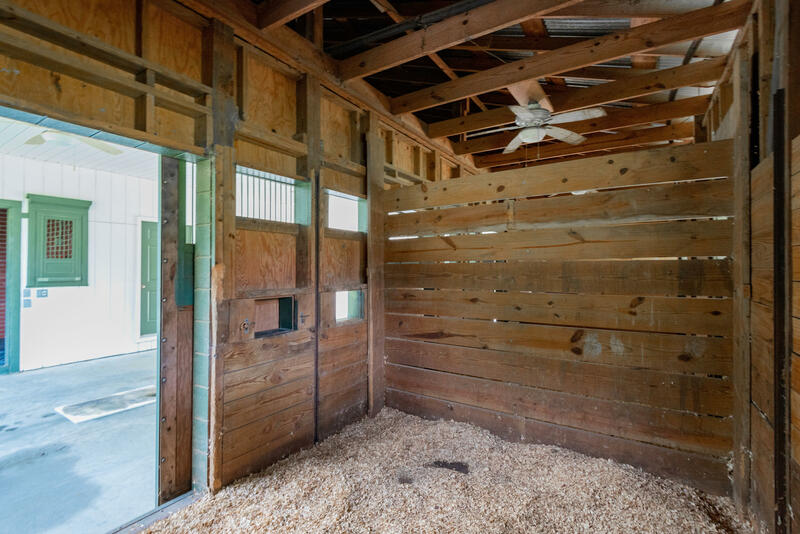 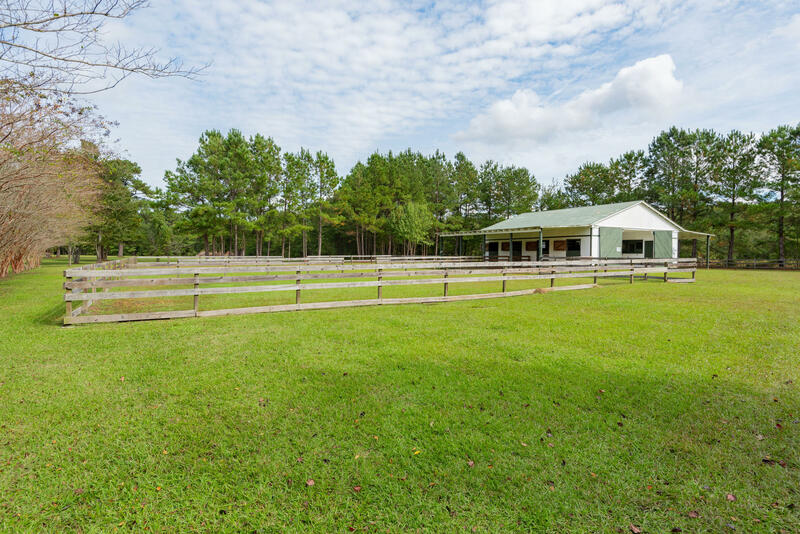 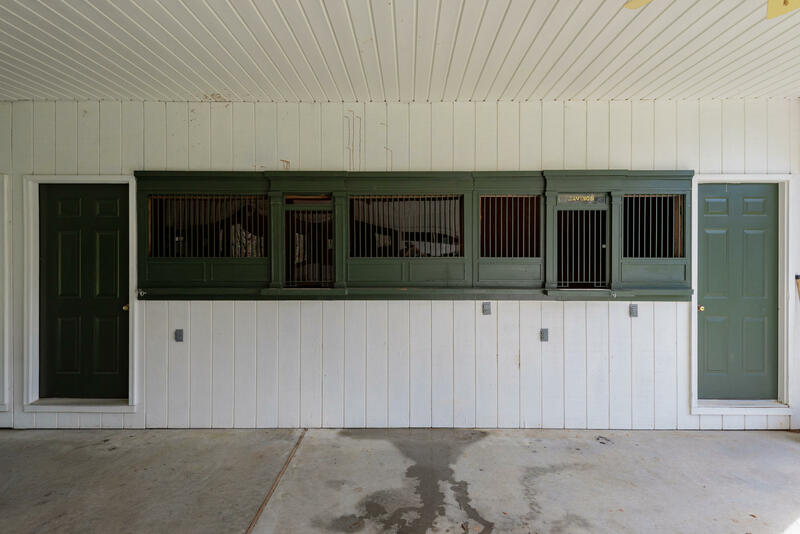 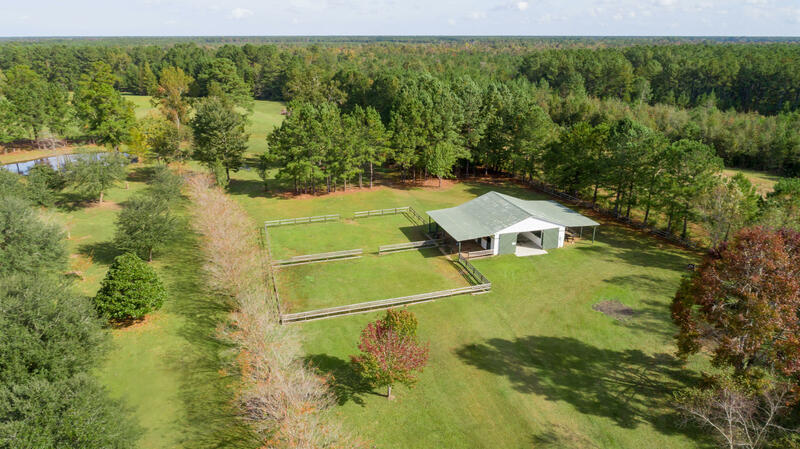 **HORSE BARN** 4-stall horse barn complete with wash rack, tack room, and full bath, 2 10' sheds with separate well, fenced in pasture, and 680 sq ft covered area on both sides of barn. 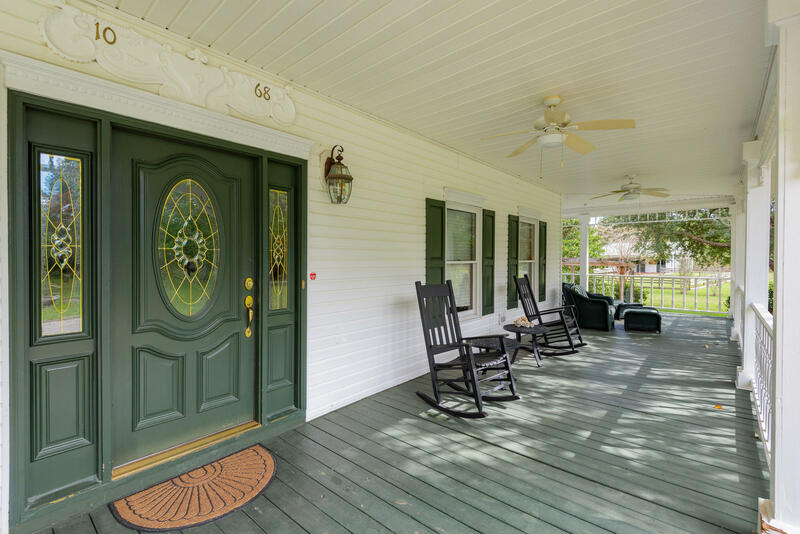 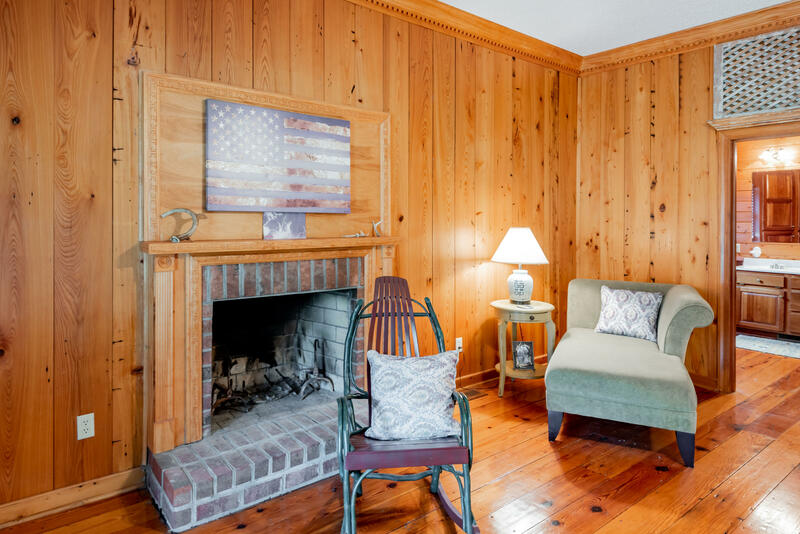 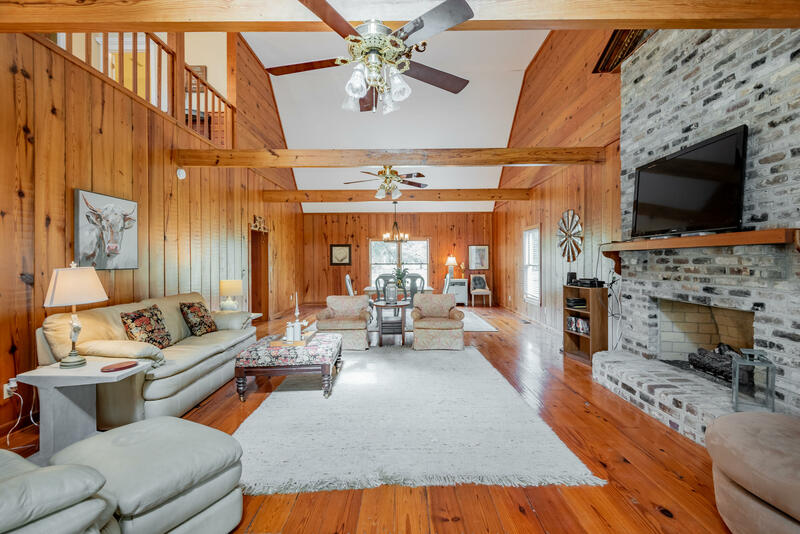 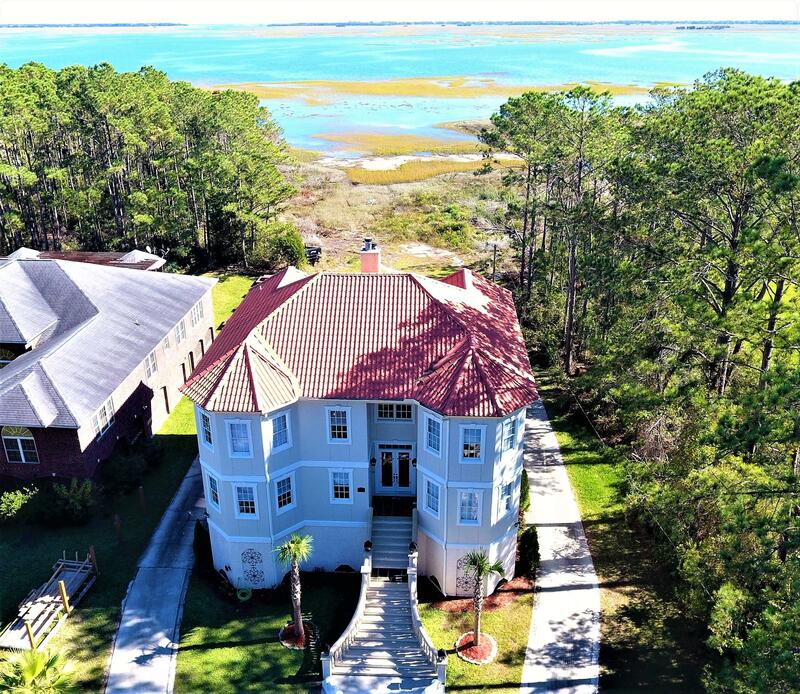 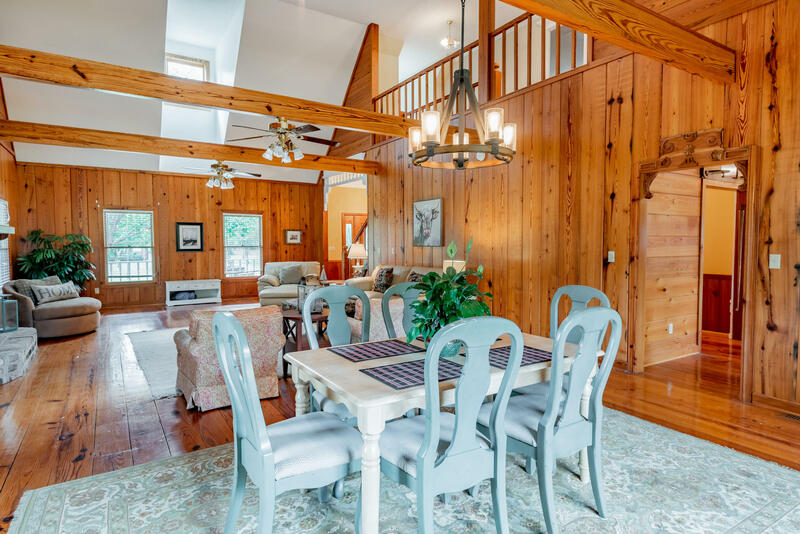 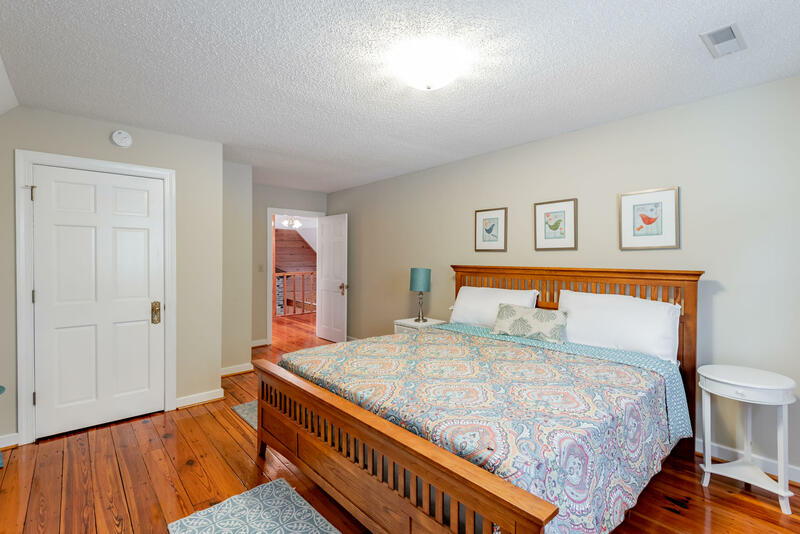 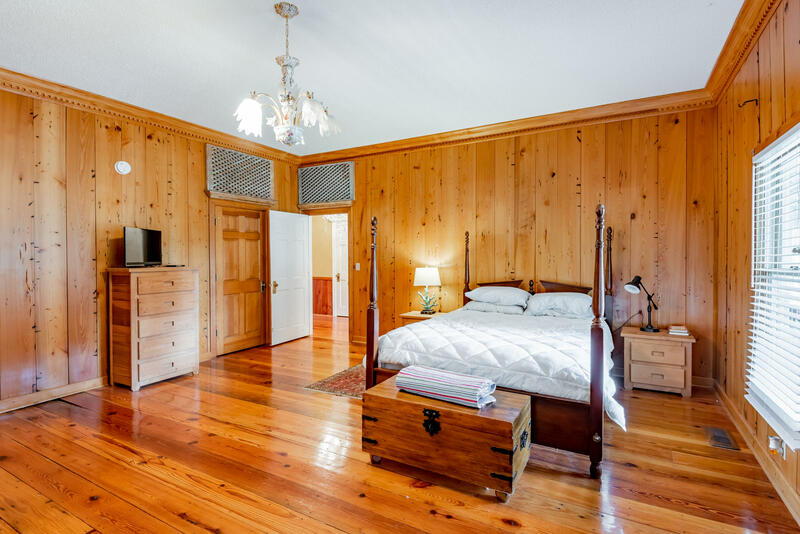 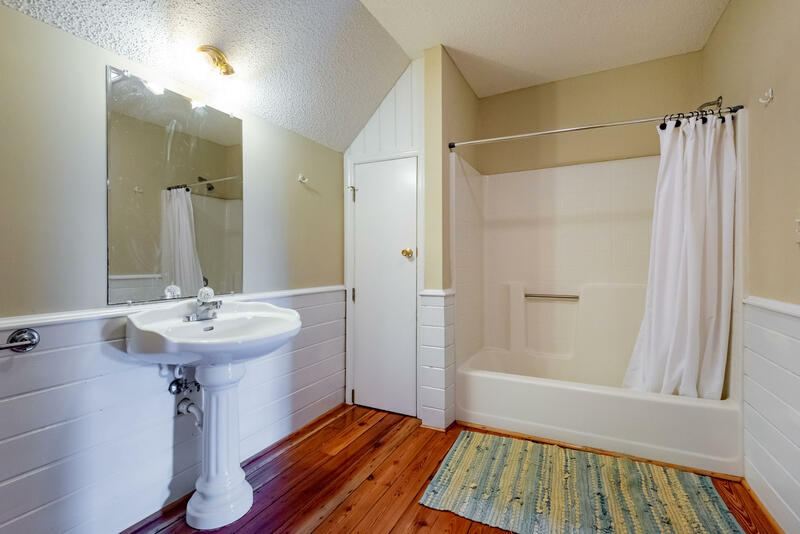 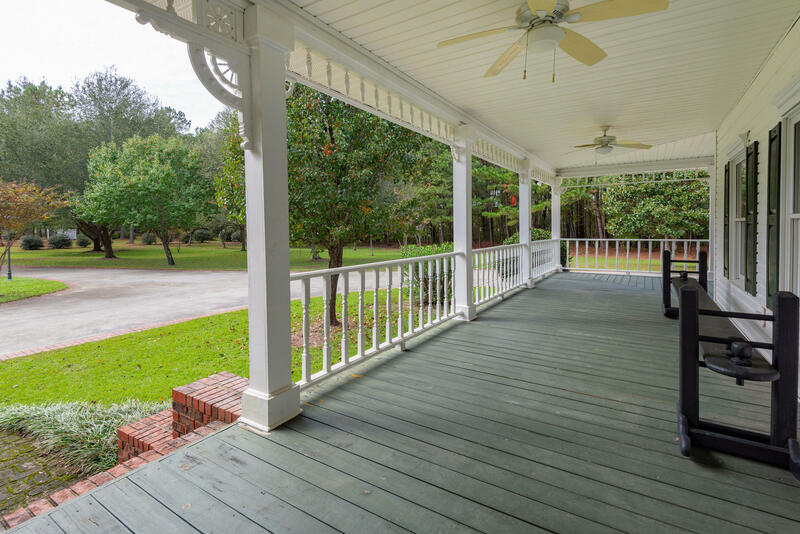 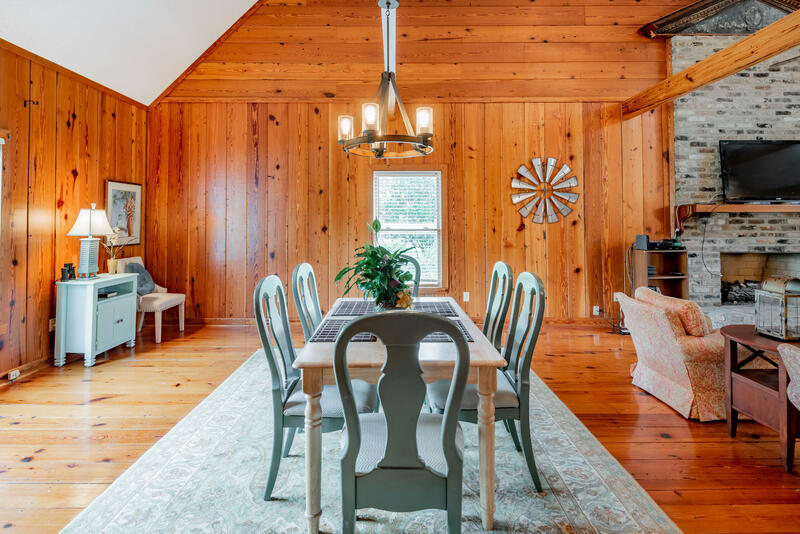 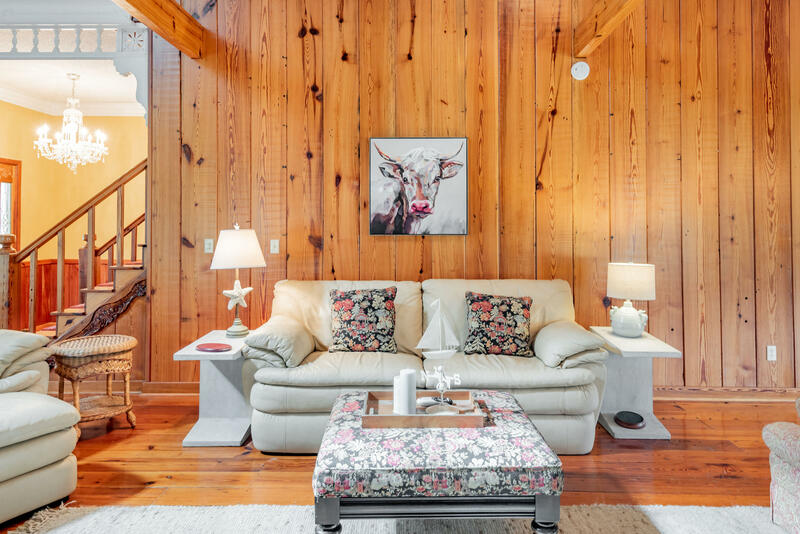 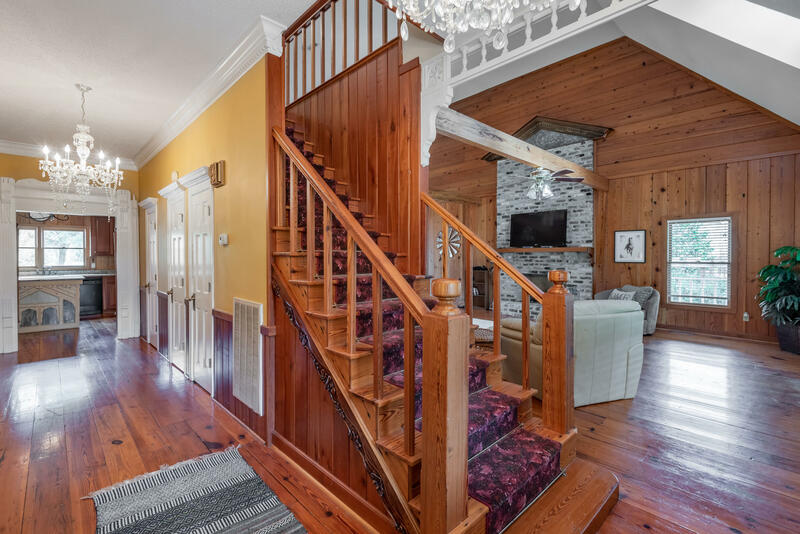 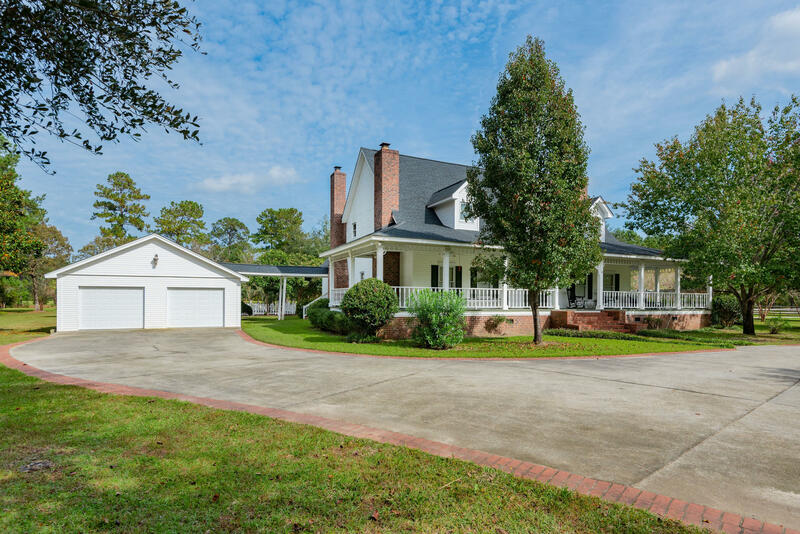 **MORE BELOW** **HOUSE** The 3,552 sq ft house has a wrap around porch, high ceilings, and wall-to-wall antique heart pine and cypress flooring. 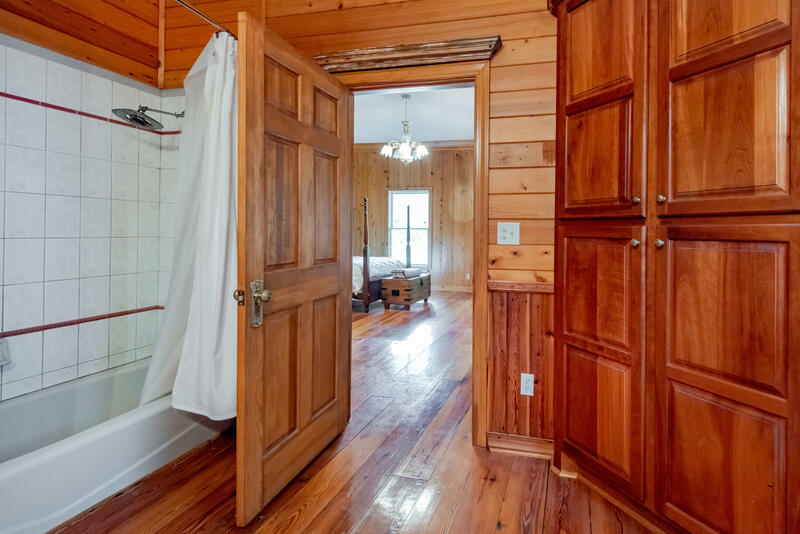 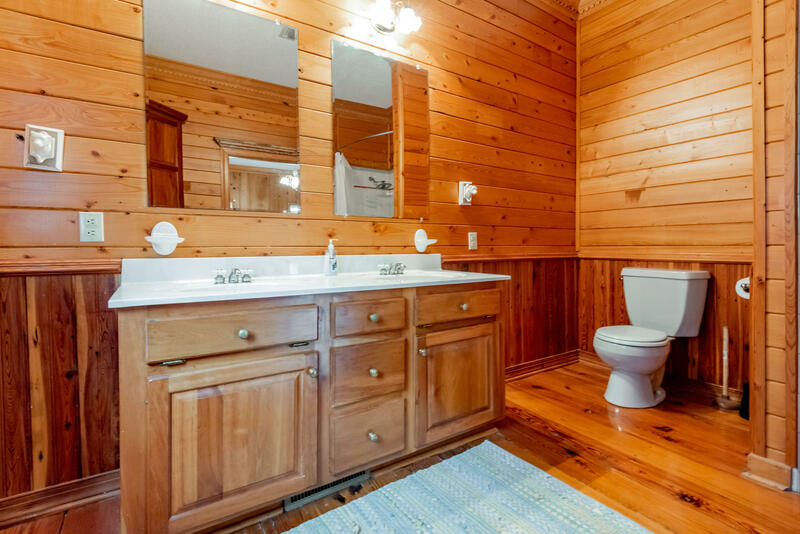 This 3BR/2.5BA has a first floor master, with walk-in closet, en-suite bathroom and wood burning fireplace. 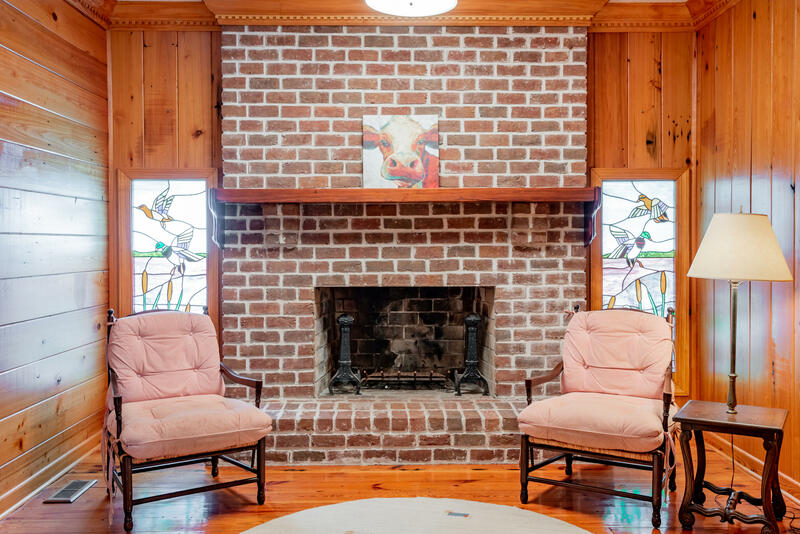 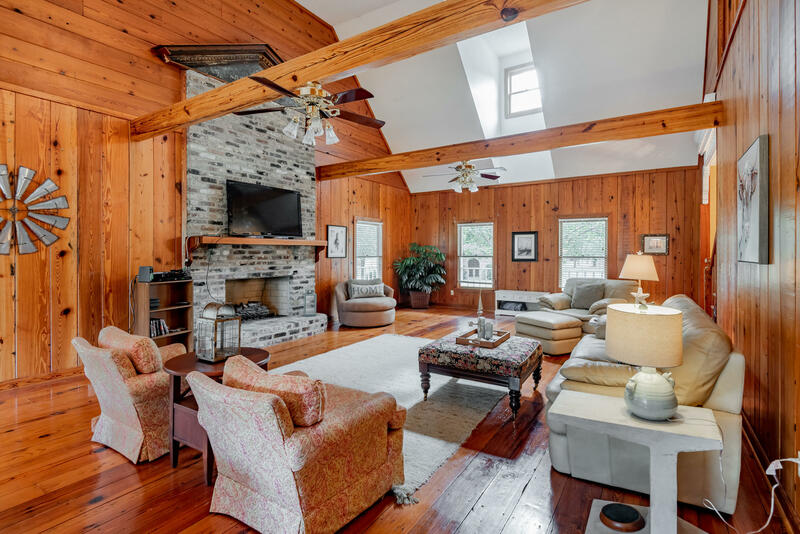 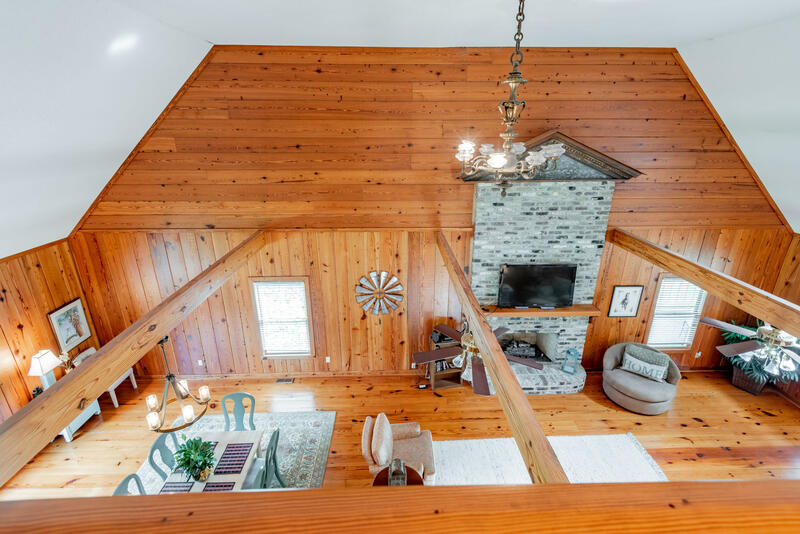 Exposed beams in the main living area emphasize the 9ft ceiling and the english brick gas log fireplace that anchor the main living room and formal dining area. 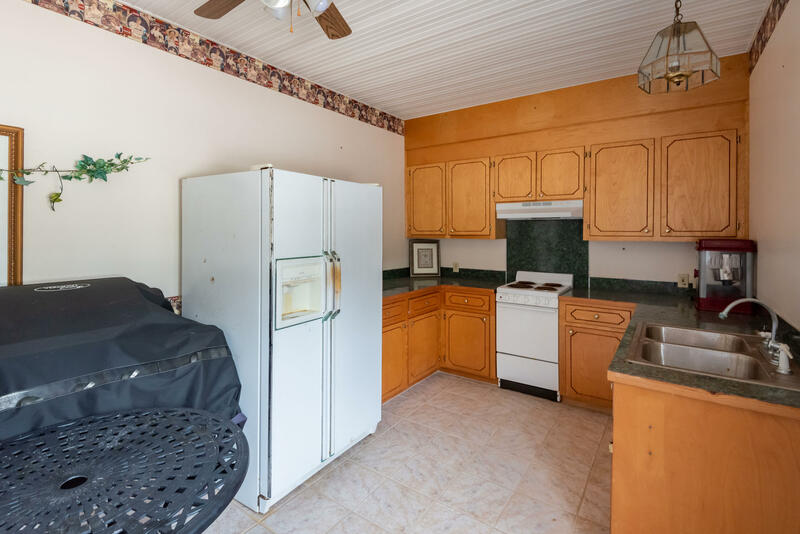 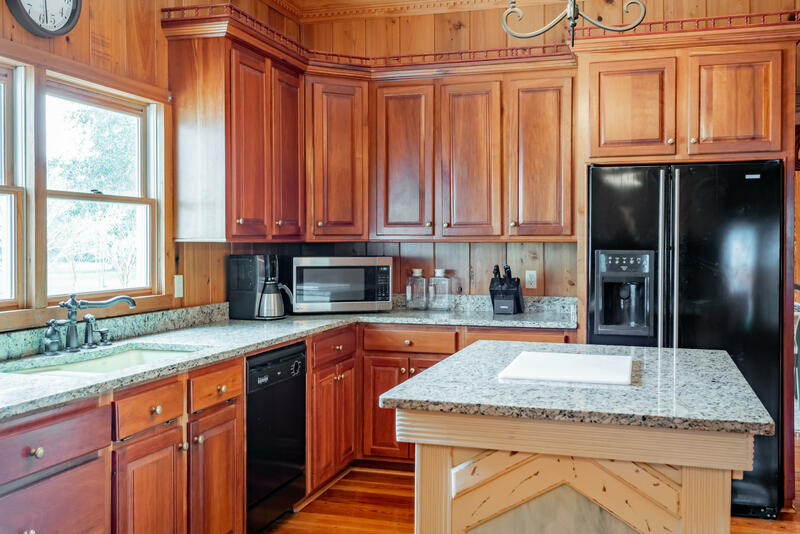 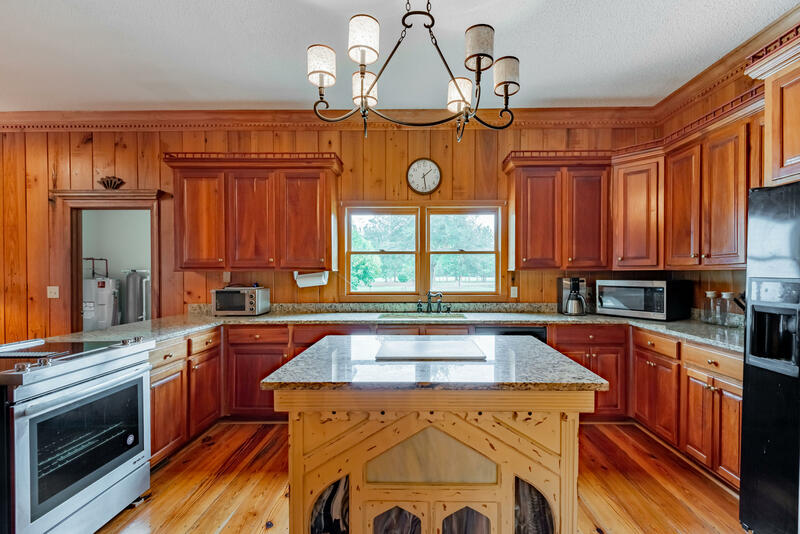 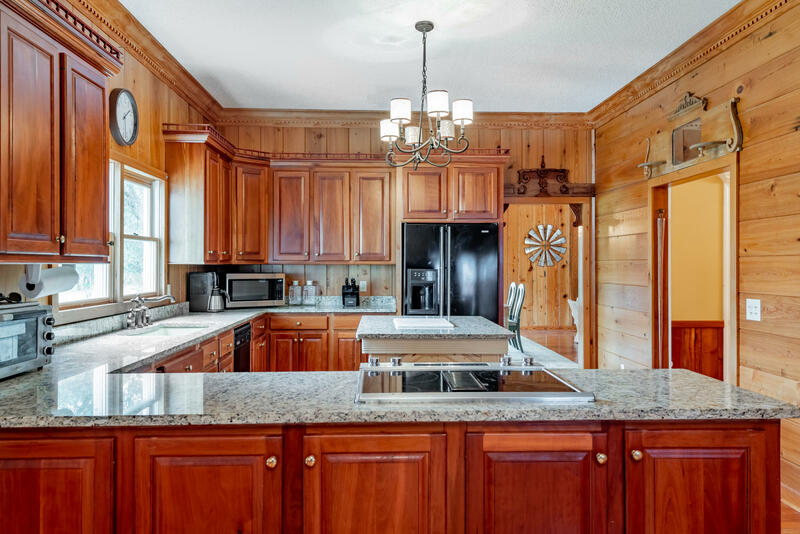 **KITCHEN** Antique cherry cabinets, granite countertops, and cozy breakfast/ eating area with fireplace. 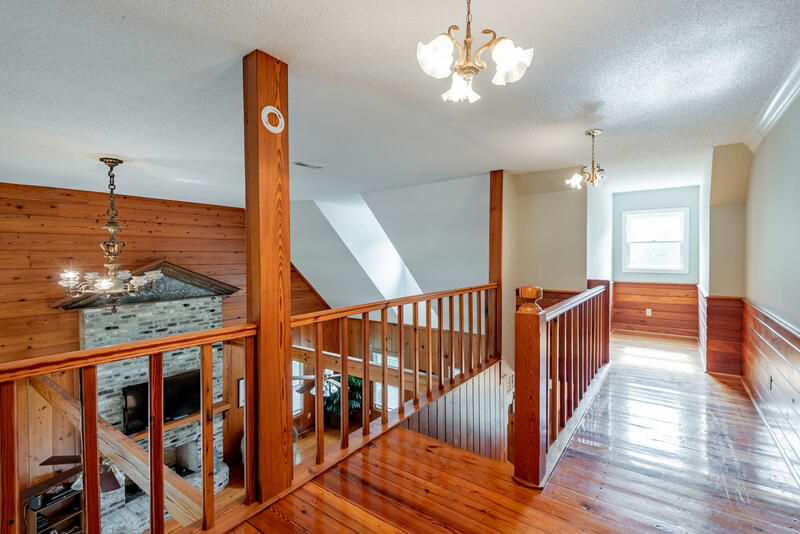 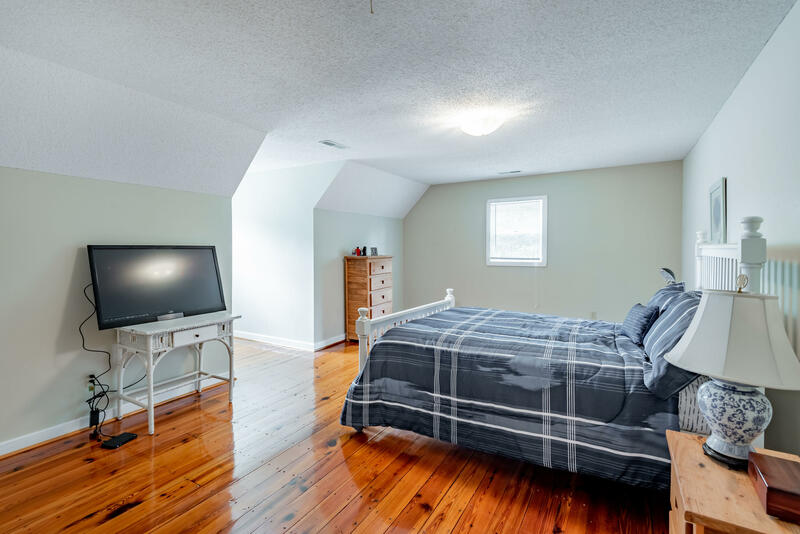 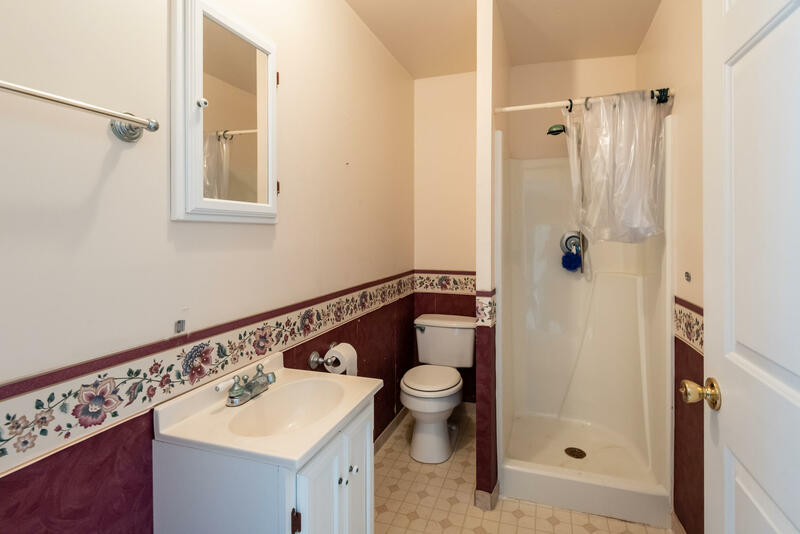 **UPSTAIRS** The second story has two large bedrooms with a balcony overlooking the main living area. 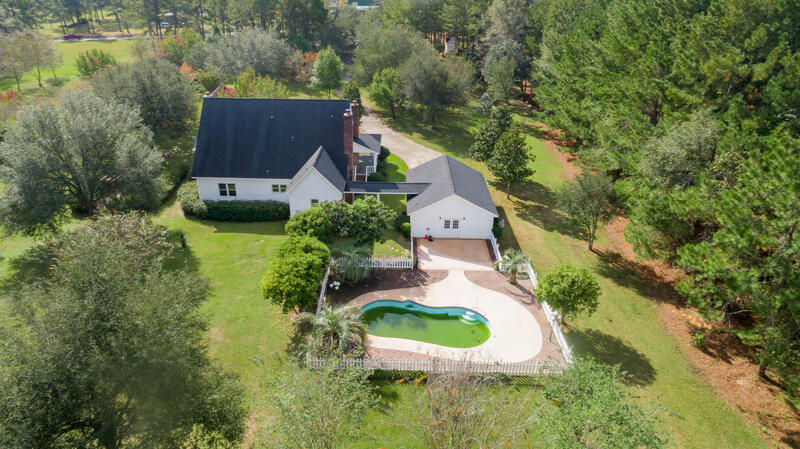 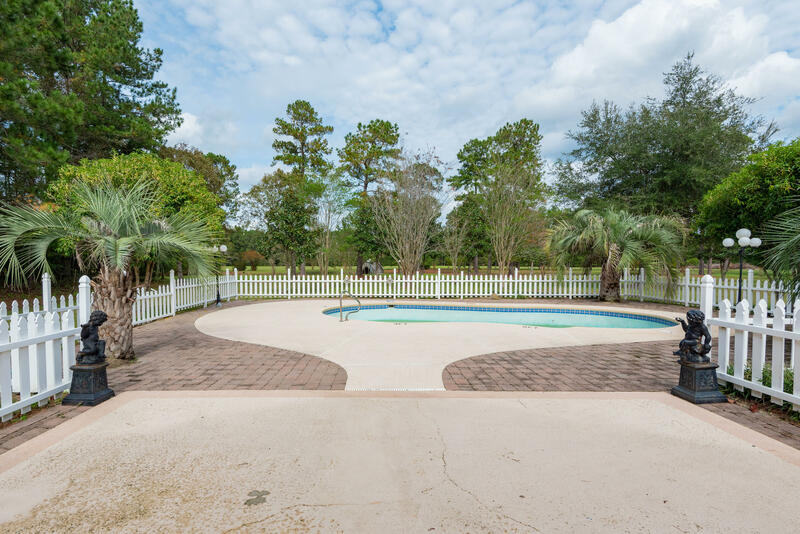 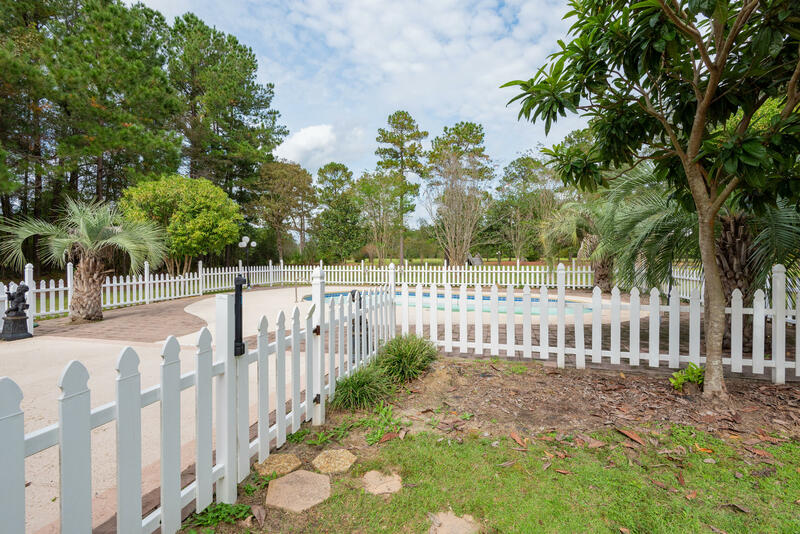 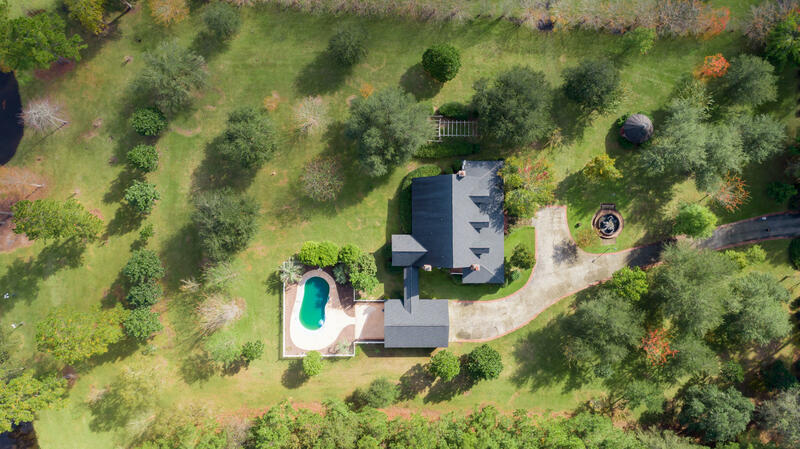 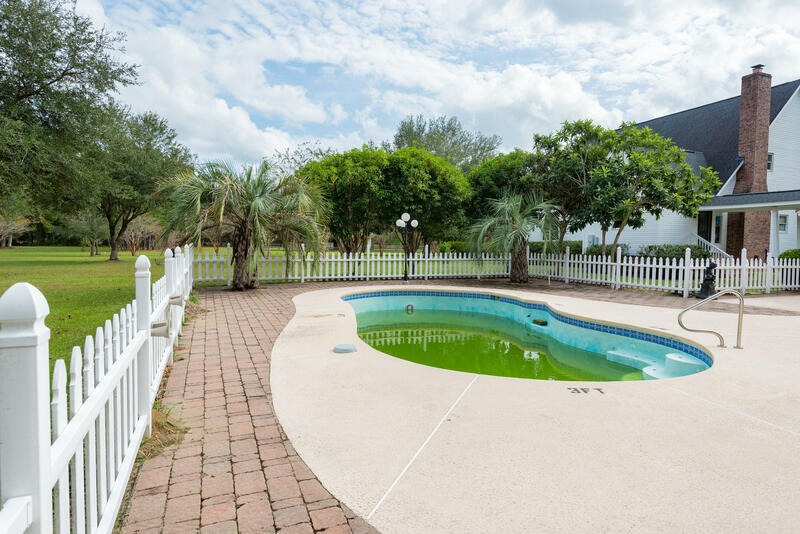 **POOL** Just behind the house is a 36' by 18' gunite in-ground pool with fence, a separate pool house with an additional full kitchen and bath attached to the 2-car garage.